If you want to frame a poster, then you should know that this task can be pretty difficult, especially if it is something memorable. It is rough to go into a framing store and find out that a good frame might cost hundreds of dollars. So there are other ways to accomplish such task. First option is to go for wholesale poster frames from well known online shops like www.wholesaleposterframes.com, if you have no time and want to get one at very reasonable price tag. But if you have plenty of time, don’t want to spend money and want to test your creative skills then you should read on to know the best ideas for creating the excellent poster frames yourself. Below we have shared multiple ideas for this creative venture, see what you can do easily and successfully. If you have a poster of regular size, then you can purchase a cheap frame that you can use the glass and backing from. Then you can utilize it for many different decorating options. All you have to do is to be at least a little creative and that’s it. Alternatively you can choose a foam core to make it a frame rather than purchasing a frame. Only a few operations will be required – just cut the foam core and match the edges of the poster then fasten the corners with small staples. 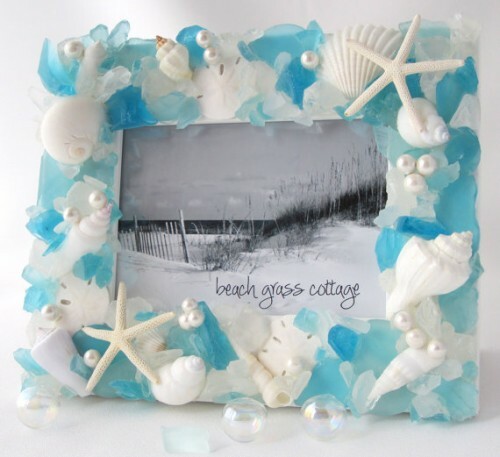 Another really creative way to decorate an existing frame is with the help of sea glass. This colorful glass can be made to match any room depending on its color. You can create your own design with the help of hot glue gun. You can also improvise and create your various designs. Childlike blocks are another great option, depending on the poster you are framing. So if you are looking for childlike throwback, just take some wooden blocks and place them around the frame or foam core. Have you considered glass edging for more modern look? The good thing is that most of the glass shops can cut the glass exactly according to your needs. Now you need to see where you want to fit the frame onto the poster, cut the glass pieces and then just place the poster between them. You can use a soldering iron in order to meld the pieces together in order to give a modern and fine look to your poster. Create your own edging – this is just another way to create your own frame. Mounting the piece to foam core can make it tough enough to hang up easily. Here you need to find a straightedge tool in order to create your own lines to give it a creative edging. Of course the classic decoupage will not be missed. Dipping any kind of thin paper into watered-down glue, you can build great frame. This allows a great mixture of colors that will suit your personality. The other framing choices include using seashells or leaf patterns all around. Basically, you can use anything for framing just make sure that the thing you have chosen is going to fit in the room.